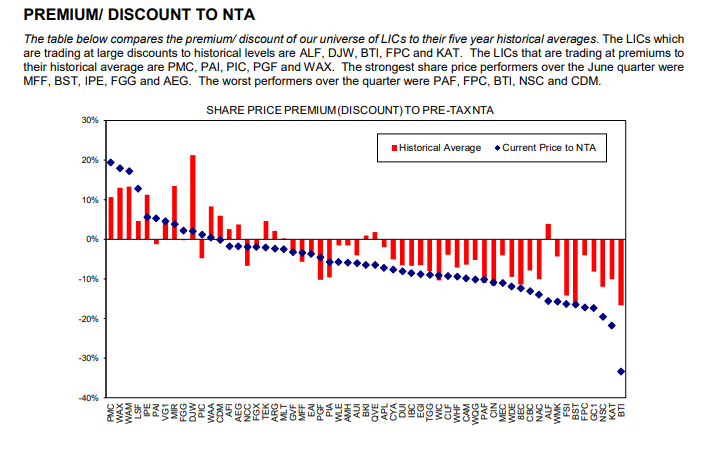 This report compares 57 different LICs and identifies those that are most attractive on a number of quantitative measures including price to NTA, dividend yield, NTA growth, and total returns. The key criterion in the evaluation of a LIC is its track record. Those with the best long-term performances (measured by total return, dividends and NTA growth) are the ones that are likely to give the best future returns. In the Appendix, we provide a list of top 20 holdings and a historical price to NTA chart for most LICs.